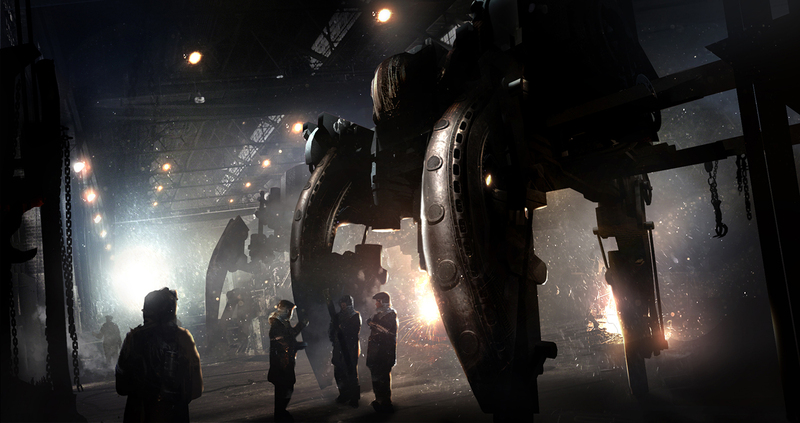 See the original concept art designs of hunters, workers, factories, and more. Frostpunk is the best game I've played this year (my review is here), a blend of city-building, survival, and society simulation. After a recent chat with 11 Bit Studios, the developers of the tense survival sim, I was sent some lovely concept art for the game's characters, buildings, and setting, which you can see below. To enlarge the images, click the upper right hand corner. I've also provided links to full size images. 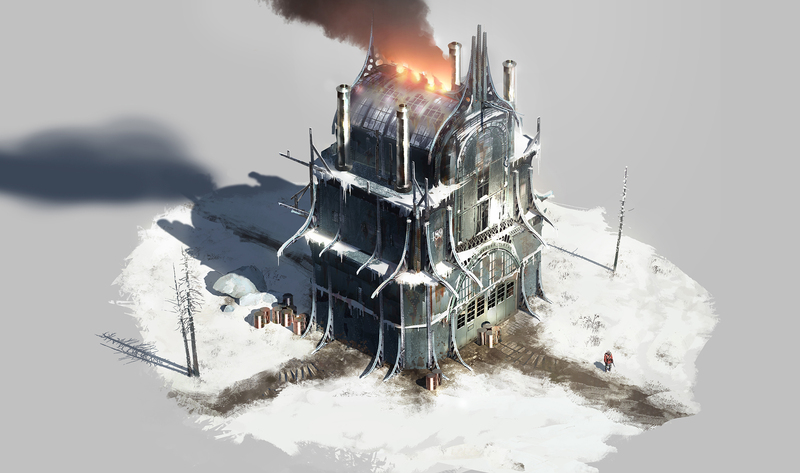 In Frostpunk you get to construct all sorts of buildings—houses, factories, workshops, temples, and other facilities—but you never get to see inside them. That's why I love this artist's rendering of the inside of a factory. You can see automatons being built—automatons being towering coal-powered robots that can take the place of a team of human workers, and can even be put in charge of operating the factories themselves. See if full size here. Not all of Frostpunk takes place in your city. You can (and in fact must) send out teams of explorers to scout the frozen world for additional resources, other survivors, and scraps of information about what has happened to the world—and what will happen next. This image depicts a scouting team making a discovery (of some sort) in a frozen cave. Hopefully, whatever they've found is good news, though I wouldn't bet on it. This conceptual image doesn't look all that much like the final game, but the mood and feeling is certainly there. The frozen tundra, gray skies, and the workers headed out into the snow with pickaxes. These might be the massive vehicles used to reach the ultimate location of the city—we don't see them in the game but can re-discover their locations during scouting missions in some scenarios. The hunters play a vital role early on, heading out for long hours to gather food while you wait anxiously, watching your citizens growing more and more hungry. 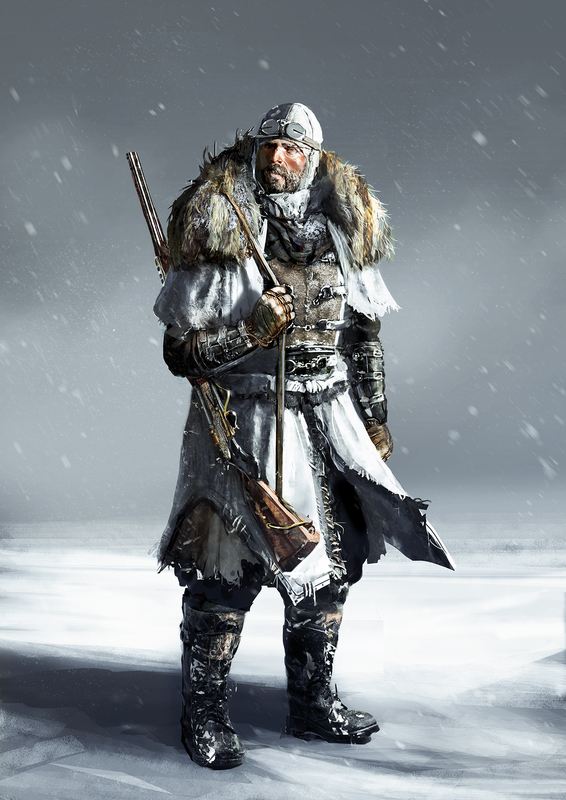 It's nice to see such a finely detailed image of the hunters, since they spend precious little time actually inside your city. Yes, that's about the expression I'd expect to see if I could zoom in close on my workers faces. Long work hours—sometimes around the clock—and dangerous if not deadly conditions, followed by a meal of questionable origins and a night spent sleeping in a freezing house or visiting a fighting pit. 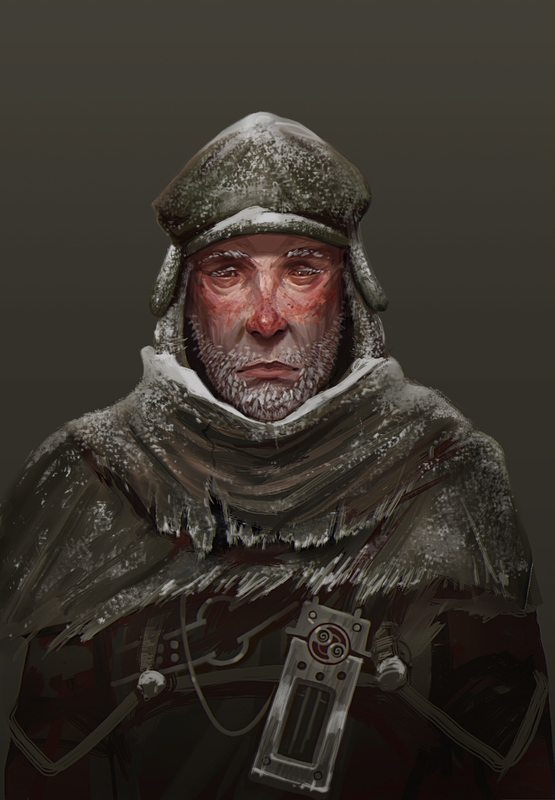 This is about as close to a smile as you may ever see in Frostpunk. Ultimately the most important building for the survival of your citizens is the workshop. It's where your engineers can develop new technology, everything from better mining equipment to improvements in heating to more advanced medical facilities. The final design of the workshop doesn't look much like this concept art—they wound up much narrower, probably so you can cram them into tight spots between other buildings—but I love all the fine detail in this image, from the icicles to the smears of rust to the little fellow standing outside, which gives it some scale.